Experience Korea with the AYFN’s Korea Experience Program. This program is open to high school students and learners desiring a short-term immersion program in Korean language and Korean culture. 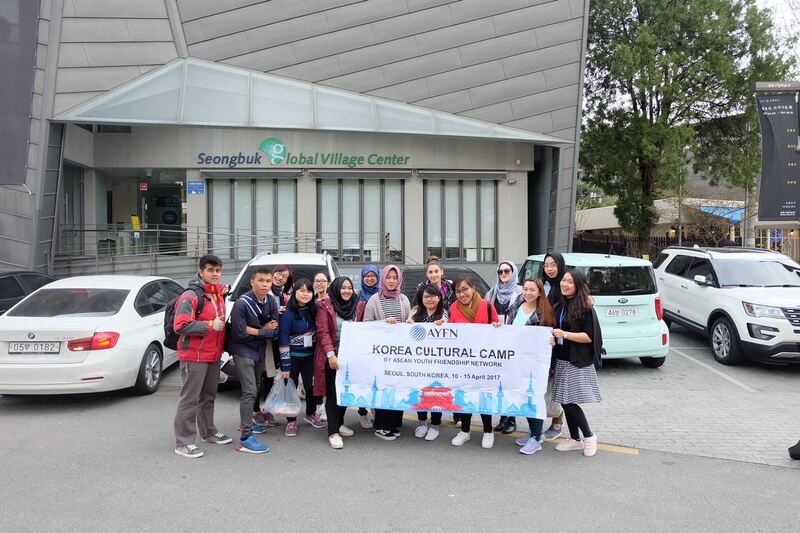 With the goal of increasing foreign students’ understanding of The Republic of South Korea, The AYFN Exchange Academy and Seongbuk Global Cultural Village are offering an invaluable Korean learning cultural immersion program. The program combines Korean language training with daily activities and cultural excursions to enhance the Korean experience. It’s open to High School students. This entails a program which is specifically designed to offer Korean classes for students/youth from ages 14-18, as well as a chance for these students to gain a cultural understanding of Korea. This will be done through both visiting famous Seoul attractions and partaking in typical cultural activities such as experiencing Korean tradition (wear handbook), making your own Korean dumplings or learning about traditional Korean Calligraphy. Our aim is to inspire the students to open their minds to other cultures and recognize the importance of language learning at the same time. We want the students to end their trip by leaving with a better knowledge of Korea and a firm basis of the Korea language. During the program, students will take public transport (Bus, Metro, subway train) to deepen understand about Korean way of life and be like a local. Personal expenses (food, souvenir, extra transport fee, laundry, minibar in hotel, etc). During this program, participants will be accommodated in the 3 star hotel. The accommodations are a popular and a very sociable option as you get to live and socialize with other participants and local people. Living conditions in the Hotel is very good and very clean. Males and females are accommodated in separate room. The hotel comes with private bathroom, free wifi. Korea is renowned for its tasty and healthy food. There are numerous amazing restaurants throughout Seoul which you will be directed to by program staff if you wish to eat out occasionally. Also, each person has their own preference about food. It’s time for you to experience the Korean food by yourself. Deadline of registration : 30 April 2019 (First come, first serviced basis).